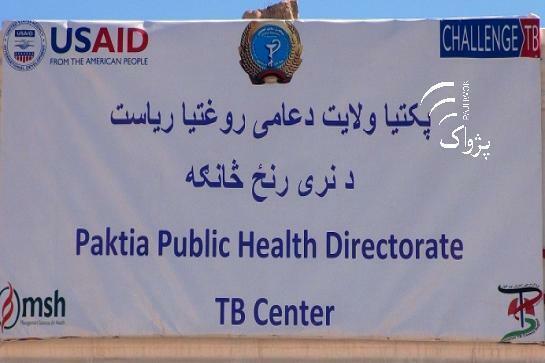 (MENAFN - Pajhwok Afghan News) GARDEZ (Pajhwok): A well-equipped tuberculosis diagnosis and treatment center has been opened in southeastern Paktia province, an official said on Saturday. Dr. Wilayat Khan Ahmadzai, the provincial public health director, told Pajhwok Afghan News the TB treatment facility was equipped with modern equipment and machineries worth two million afghanis funded by USAID. Ahmadzia urged all hospitals, clinics, pharmacies and senior doctors in Gardez City to introduce TB patients to the facility. €œThe facility can recognize TB virus and find the way how it should be treated.€ However, he did not specify the number of TB patient but informed their number had increased compared to last year. €œThe treatment is offered free of cost in the center and efforts are underway to bring to more machines and equipment,€™ he added. Dr. Mohmmad Kamin Ayubi, nurse training director, said they were training healthcare workers in standard treatment as TB virus could create problems if not treated in time. €œThis disease is hundred percent treatable, but the condition is the patient should take dose regularly otherwise it can create problems and can prove fatal,€ Ayubi said.